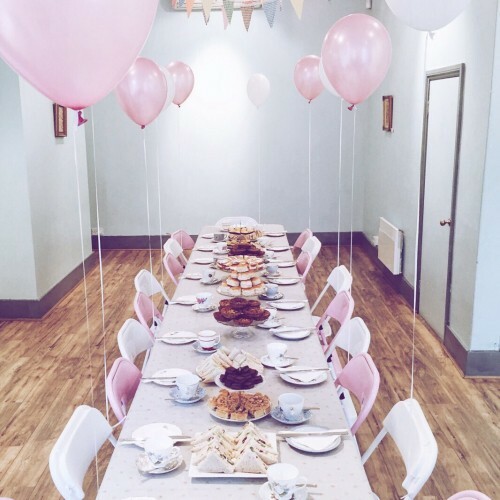 The party room is a generous sized space available for hire. 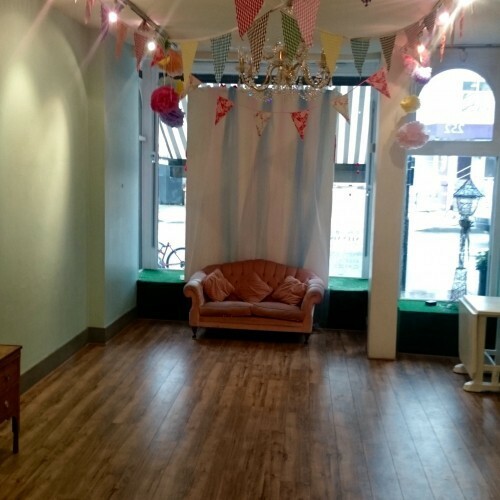 It has a warm feel with a comfy sofa and pretty bunting with pastel shades throughout. We can provide tables and chairs as well as decorations for your party or desired function. The party room has air conditioning for summer and heating for winter when needed. Natural lighting comes through our large windows but the room is also completely private. 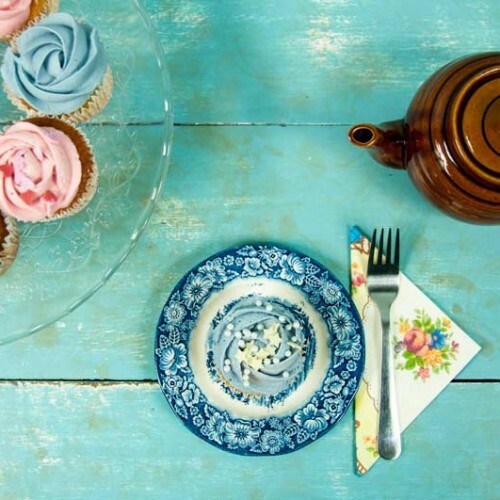 The venue room is attached to our cafe/coffee shop which has delightful tea and scrummy coffee and cakes for sale and is also available for private hire. We can provide food and drinks as needed. All information regarding pricing and other options is available on our website www.drinkmeeatme.com. If you desire a theme or entertainment we can provide these too. Anything that you can dream of we can deliver. 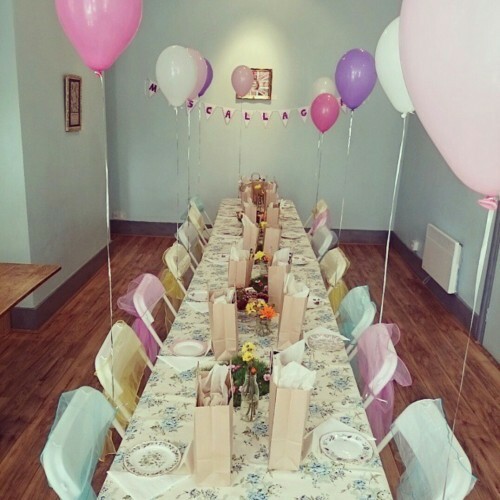 Availability: Our venue is available for hire during the week from 7:30 to 17:30 but we are also able to cater for evening events for an extra fee per hour. Our calendar of events is available on the website and we can organise a time that is available to suit. We specialise in parties at the weekend but are very open to suggestions. There have been 0 reviews of The Party Room. 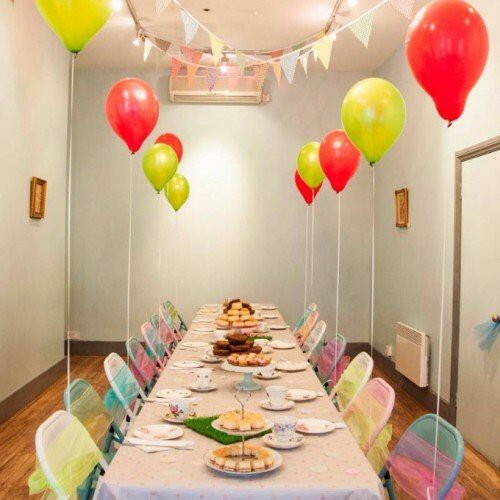 If you would like to send The Party Room a booking enquiry, please fill in the form below and click 'send'. Perhaps some of the following halls within 5 miles of The Party Room would also be of interest?